The living room and bedroom opens onto the spacious terrace which is furnished and has a garden grill. The nearest bathing spot is 100 metres away and features cliffs and a shared bathing dock. Theres also a child-friendly, sandy beach with shallow water only 1.5 kilometres away. A rowing boat is included in the rent. You also have access to three life jackets, one adult size and two childrens size. 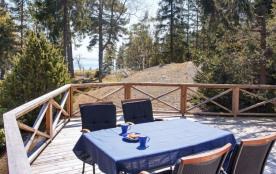 The archipelago of Roslagen is famous for its beauty and is a popular summer destination. 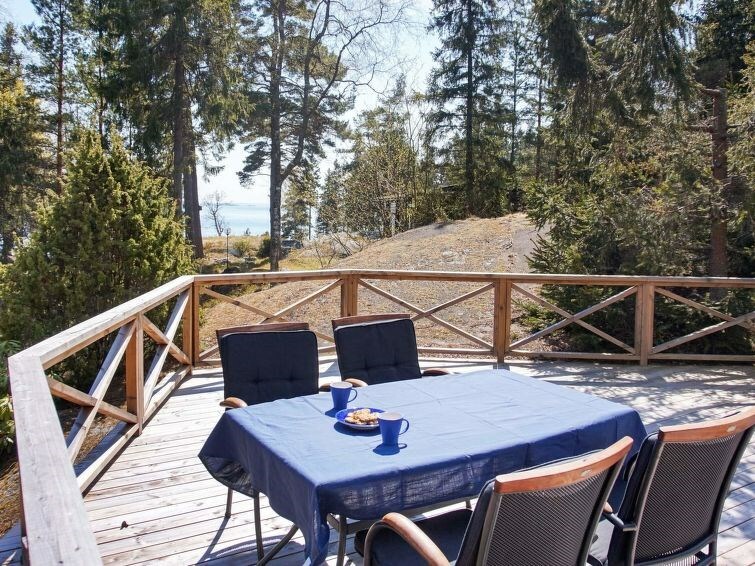 This holiday home is set on the island of Blidö. The island has a grocery store and good ferry connections from Furusund to Stockholm, and other places. For more information on the ferries, visit the website of Waxholmsbolaget. Norrtälje kommun - 6 pers.